Lake Sinclair was created in 1953 when Georgia Power Company completed the Sinclair Dam. The dam, begin in 1929, is located at Furman's Shoasl on the fall line in the Oconee River. The Great Depession of the 1930s and the Second World War interrupted work on the dam. Increased demand for electricity after the war resulted in the resumption of the project in 1949 which was completed in 1953. The Sinclair Dam has been providing electricity for Georgians since it's dedication. The water in Lake Sinclair is not only used to produce electricity at Sinclair Dam, but also re-circulated through Wallace Dam as part of a pumped storage operation. During times of low electrical use, water from Lake Sinclair is pumped back up to Lake Oconee. Then, at times of heavy electrical use the water is again run through the turbines at Wallace Dam to produce electricity. The lake, set in teh rolling hills and forest of the Georgia Piedmont, has 15, 530 acres and approximately 417 miles of shoreline. It is fed by waters of the Oconee River, Little River and many large creeks (Murder Creek, Crooked Creek, Potato Creek, Rocky Creek, Rooty Creek among them). The lake offers boating, fishing, swimming, skiing, camping, marinas and nationally recognized fishing tournaments. Popular game fish in the lake include white, striped and hybrid bass, crappie, bream and channel catfish. Of great interest is the history of Milledgeville which is home to Georgia College and State University and Georgia Military College. The magnificent Old Governor's Mansion and the Museum at the Old Capitol building are open for tours. 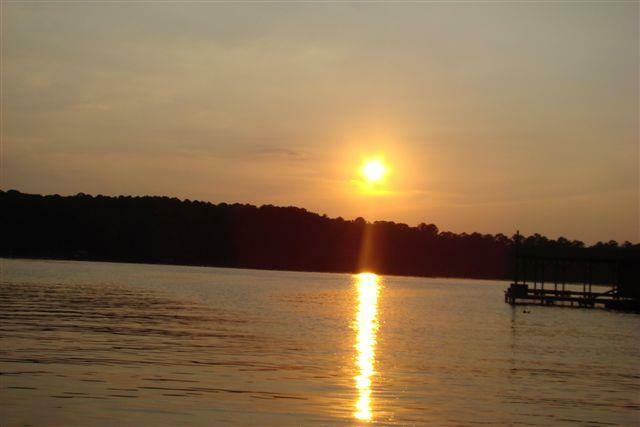 The central location in the state, great fishing, mild climate and cultural activities in the area make lake Sinclair a great place to live.